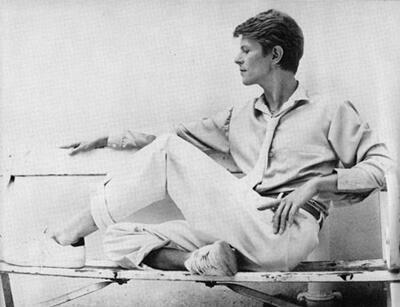 I was a latecomer to David Bowie (I know, what an idiot) but now, as well as loving his music, I’ve realised that he’s a brilliant source of flat shoe inspiration. For starters, there’s this awesome picture of him wearing Stan Smiths with white tailoring and looking completely amazing from, presumably, sometime in his Let’s Dance phase. It’s maybe the coolest anyone’s ever looked. That’s basically all my lifetime outfit goals right there, summed up in one outfit. 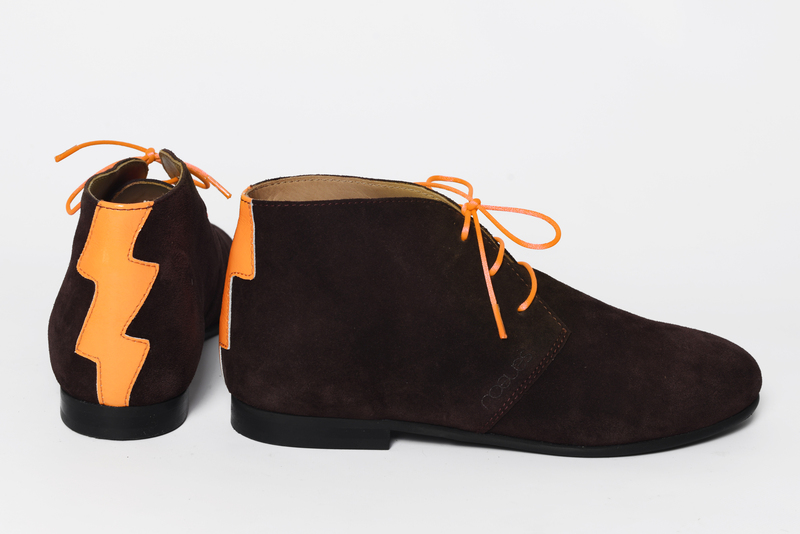 But now, one of my favourite new footwear brands – Rogues – has taken the iconic cover of Bowie’s 1973 album Aladdin Sane – you’ll know it even if you’ve never heard it – and run with it on a pair of desert boots. 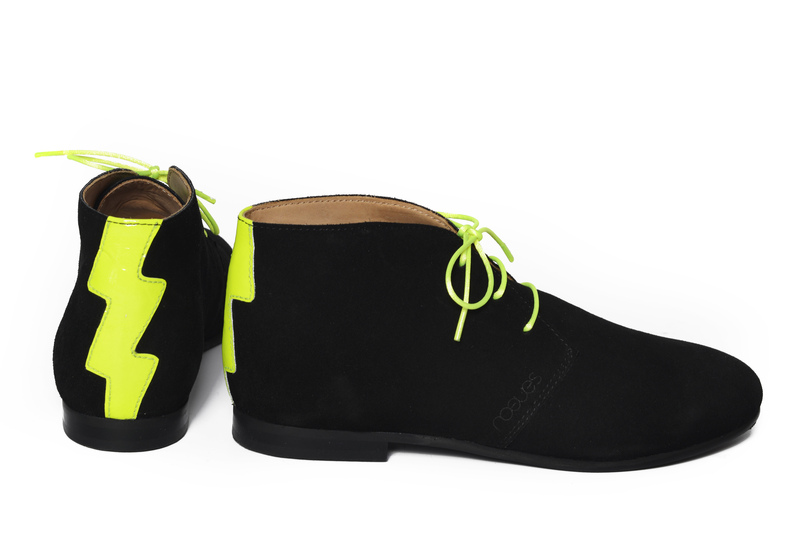 With their lightening bolt shot down the back of the heel, these ‘Ziggy Stardust’ boots (yep, that’s what they’re called!) are available as a capsule collection in three colours from October 22nd. Rogues is a lovely brand (you can read more about it and its founder, Katie, here) with a focus on shoes that have the fun of trainers, but the structure of a formal shoe you can wear to work. 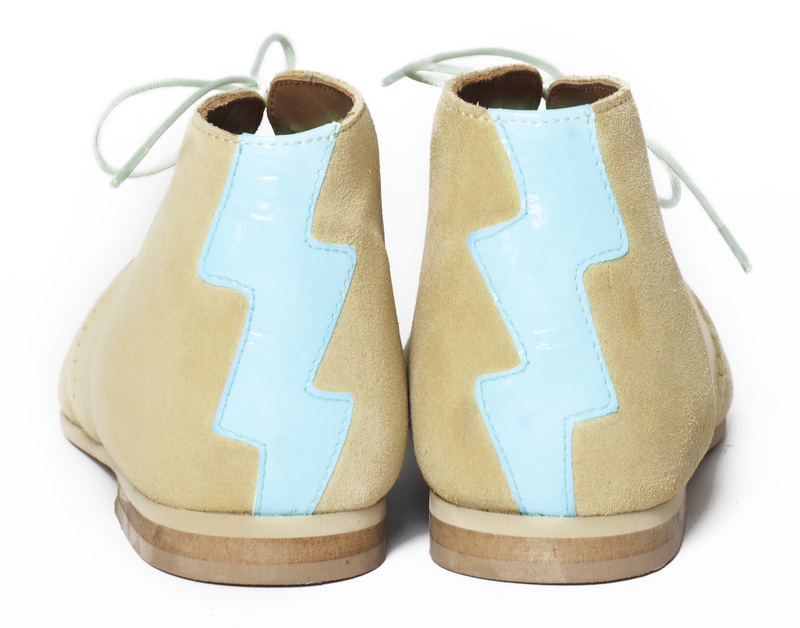 This is the first time it’s done boots, and I like that these are still really simple, as a desert boot should be. There’s just that flash of colour on the back and the laces. And I’m a BIG fan of brightly coloured laces (you can buy laces at Rogues in a pick n mix bag, just like the sweets). Although they’re not available until Thursday October 22nd, I thought I would give you a heads up as being a limited collection, they might sell out fast. And also, that happens to be the same date that my second book comes out, so I might be a bit preoccupied talking about that! As always, I’d love to know what you think about these shoes, so leave comments below. Being old enough to have danced to Bowie in his Ziggy incarnation at the school disco I can confirm his coolness. However you’ve nailed it with the older photo it is the epitome of style!